The Marijuana Justice Act gets a third cosponsor, the DEA threatens to go after safe injection sites, the attorney general and leading law enforcement groups target the Senate sentencing reform bill, and much, much more. Federal Judge Suggests He Will Defer to DEA, Congress on Rescheduling Lawsuit. At a hearing Wednesday over a lawsuit seeking to have marijuana de- or rescheduled from Schedule I of the Controlled Substances Act, US District Court Judge Alvin Hellerstein suggested he would rule in the government's favor. He dismissed plaintiffs' claims that marijuana prohibition was motivated by racism and political concerns when it was passed 80 years ago and he said he didn't think he had the authority to reschedule the drug. "The law is the law," the judge said. "I'm sworn to enforce the law." Cory Booker's Marijuana Justice Act Gets Third Sponsor. Sen. Kirsten Gillibrand (D-NY) announced Wednesday that she had signed on as a cosponsor of Sen. Cory Booker's (D-NJ) Marijuana Justice Act (S. 1689). The bill is also cosponsored by Sen. Ron Wyden (D-OR). Federal Bill Filed to Protect Legal Marijuana States and Businesses. Rep. Lou Correa (D-CA) has filed the Sensible Enforcement Of Cannabis Act (no bill number yet), which would essentially codify the protections for state-legal marijuana embodied in the now-rescinded Cole memo. "To date, eight states have legalized recreational cannabis, and twenty-nine states and the District of Columbia, representing more than half of the American population, have enacted legislation to permit the use of cannabis," Correa said. "Attorney General Sessions' decision to rescind the 'Cole Memo' created great uncertainty for these states and legal cannabis businesses, and put citizens in jeopardy for following their state laws." Connecticut Legalization Bills Filed. Twenty-two lawmakers filed a marijuana legalization bill Wednesday. The bill, House Bill 5112, would authorize the retail sale and taxation of the herb. Separately, House Deputy Majority Leader Rep. James Albis (D-East Haven) filed another legalization bill, House Bill 5111. Similar bills last year failed to get a floor vote in either chamber. Both bills were referred to the Joint Committee on General Law. Massachusetts Legalization Advocates Protest "Intimidation Campaign" Aimed at Forcing Restrictive Regulations. Legalization advocates are criticizing Gov. Charlie Baker (R) and other officials, saying they have conducted a "coordinated intimidation campaign" against the state body charged with crafting rules and regulations, the Cannabis Control Commission. In a series of letters to the commission, officials from the governor's office have raised public health and safety concerns and recommended it scale back its framework of rules. Advocates took their concerns to the State House Thursday, where they held a press conference. New Jersey Lawmakers, Wary of Legalization, File Decriminalization Bill Instead. A bipartisan group of legislators urging caution on pot legalization has filed a bill that would decriminalize the possession of small amounts of marijuana. Senate Bill 472 would make the possession of up to 15 grams a civil offense. Gov. Phil Murphy (D) campaigned on legalizing marijuana, and legalization bills have already been filed in the Assembly and Senate. Jackson, Mississippi, City Council Votes to Decriminalize Weed. The city council voted unanimously Tuesday to decriminalize the possession of up to 30 grams of marijuana. Violators would face no more than a $100 fine. Under current Mississippi state law, marijuana possession is illegal, so effective implementation will depend on local law enforcement discretion. The possession of any amount of marijuana can result in up to 60 days in jail, a fine of up to $250, and a litany of collateral consequences that impacts employment, housing, family and life opportunities. Alabama Senate Committee Votes to End Civil Forfeiture by Police. The Senate Judiciary Committee voted Wednesday to approve a bill that would end civil asset forfeiture in the state. Senate Bill 213 would require a criminal conviction before cash or property could be seized. Senators said they expected the bill to face additional negotiations before it goes to a Senate floor vote. Wisconsin Bill to Block Employers from Testing for Marijuana to Be Filed. Rep. David Bowen (D-Milwaukee) said he plans to introduce a bill that would block employers from drug testing for THC or disqualifying people from jobs because of a drug test with positive results for marijuana. The bill would apply to both public and private sector workers, but not those operating heavy equipment. "Consuming THC weeks or months out from a job interview should not disqualify someone from finding employment any more than someone who drank a few beers on another date should be kept out of work" Bowen told the Isthmus in an email. "While I am in favor of the safe legalization and regulation of marijuana for both recreational and medicinal use, until that happens, people should not be stigmatized for using a substance whose effect on society is less negative than society's reaction to it." Congressional Republicans Try to Blame Sanctuary Cities for Opioid Crisis. GOP lawmakers used a hearing of the House Judiciary Subcommittee on Immigration and Border Security to try to scapegoat sanctuary cities for the country's opioid crisis. "We have heard countless stories of sanctuary practices and the havoc they wreck on public safety, national security, and the sanctity of the rule of law," said Rep. Raúl Labrador (R-ID), the committee chair. "Our public safety and our public health are tied to eradicating opioids, which can never be accomplished when the force multiplier that is ICE is sidelined." But committee Democrats and analysts rejected the link. Rep. Pramila Jayapal (D-WA) said There was no "factual basis in connecting so called sanctuary city policies with the opioid crisis," said Rep. Pramila Jayapal (D-WA). "It would be laughable if it weren't so serious," she said. "If it weren't so hurtful to the characterization of immigrants across this country." Last month, Republicans tried to blame Obama's expansion of Medicaid for worsening the epidemic. Trump Administration Threatens to Go After Safe Injection Sites. Several US cities are moving forward with plans to open safe injection sites, but the DEA has just fired a shot across the bow. In an interview with Buzzfeed, DEA spokeswoman Katherine Pfaff said the agency may take action against the facilities because they are federally prohibited. "Supervised injection facilities, or so-called safe injection sites, violate federal law," Pfaff said. "Any facilitation of illicit drug use is considered in violation of the Controlled Substances Act and, therefore, subject to legal action." She cited a 1980s crack house law that could be used. But in Seattle, at least, local prosecutors say they welcome a legal challenge and think they can convince the courts that public health powers are superior to criminal laws against drug dens run for profit. New Mexico Passes Legislation to Examine Administering Pharmaceutical-grade Heroin or Other Opioids by Medical Practitioners to People Struggling with Long-term Addiction. The state House Tuesday approved House Memorial 56, which charges the Legislative Health and Human Services Committee to take testimony on supervised injectable opioid treatment as a feasible, effective and cost-effective strategy for reducing drug use and drug-related harm among long-term heroin users who have not been responsive to other types of treatment. The bill was sponsored by Rep. Deborah Armstrong (D-Albuquerque), chair of the House Health and Human Services Committee. This memorial does not need to pass the Senate or be signed by the governor. Attorney General Sessions Slam Senate Sentencing Reform Bill. Attorney General Jeff Sessions came out against a painstakingly cobbled-together Senate sentencing reform bill Wednesday, sparking a public food fight with Sen. Chuck Grassley (R-IA), the head of the Senate Judiciary Committee and the very face of dour Corn Belt conservatism.In a letter reported by Reuters, Sessions warned the committee not to approve the sentencing reform bill, S. 1917, claiming it would reduce sentences for "a highly dangerous cohort of criminals." Passage of the bill would be "a grave error," Sessions said. The measure is actually a mixed bag, a product of lengthy discussions among senators seeking a compromise that could actually pass the Senate. While it has a number of progressive sentencing reform provisions, mainly aimed at nonviolent drug offenders, it also includes new mandatory minimum sentences for some crimes, including some drug offenses. Those provisions provide political cover to conservatives fearful of being tagged "soft on crime," but tired of perpetuating failed drug war policies. Police Groups Slam Senate Sentencing Reform Bill. The National Sheriffs' Association and the Fraternal Order of Police have both come out against the Senate sentencing reform bill, calling on President Trump to reject the bill and saying it will put violent drug dealers back out on the street. "Sheriffs will have to arrest most of them again at the county level and that will shift the cost and responsibility to us without fixing the underlying problems of violent crime and drug and human trafficking in the country," said a letter to Trump from the National Sheriffs' Association. "At a time when our nation is being ravaged by an epidemic of overdoses from the use of heroin and opioids, it seems at variance with common sense and sound policy to drastically reduce sentences for drug traffickers and then apply these reduced sentences retroactively," said the National Fraternal Order of Police. Pennsylvania support for marijuana legalization is strong and rising, Attorney General Sessions mixes drug and immigration policy, another federal court rules against Stingray, a second Massachusetts drug lab scandal could see thousands more cases dismissed, and more. California Will Issue Temporary Business Licenses. Regulators will introduce a temporary marijuana business licensing system to ensure a smooth start to regulated marijuana sales beginning on January 1, the state's top marijuana official announced Thursday. Businesses would only need to provide some "pretty basic information" for the temporary licenses, said Lori Ajax. The application will be available in early December, after temporary rulemaking is completed. "We don't have time to do regular rulemaking," she explained, adding that would come next year. Pennsylvania Poll Shows Strong, Rising Support for Legalization. A Franklin & Marshall College poll released Thursday has support for marijuana legalization at 59%, with only 31% opposed and 9% undecided. The pro-legalization numbers are the highest ever in the poll, up three points since May and a whopping 19 points since June2015. Sessions Blames Lax Immigration Policies for Drug Gangs, Cartels. Attorney General Jeff Sessions used concerns over drug gangs and cartels to attack "loose" immigration policy in remarks in Boston Thursday. He specifically singled out MS-13 as an example, while failing to note the gang's origins among Salvadoran refugees fleeing a US-sponsored civil war there in the 1980s. He also attacked the Deferred Action for Childhood Arrivals (DACA) program, which offers protections to undocumented residents who were brought to the country as children. "The gangs use this program as a means to recruit members," Sessions said. "We cannot allow young people to be brought into this life of crime." Sessions did not mention that DACA participants are carefully vetted and must have no serious criminal records or that 90% of them are working or in college. DC Court Latest to Rule Against Warrantless Stingray Searches. The DC Court of Appeals ruled Thursday that the warrantless use of a Stingray cell-site stimulator to monitor phone calls was unconstitutional. The ruling was only the latest in a string of recent federal appeals court judgments that ruled using the Stingray amounts to a search under the meaning of the Fourth Amendment. In the DC case, the court found the violation so egregious that it excluded all evidence derived from it, overturning the conviction of Prince Jones on drug charges. ACLU Calls for Thousands More Massachusetts Drug Cases to Be Thrown Out in Drug Lab Scandals. Bay State judges have already dismissed more than 20,000 drug cases tainted by the misbehavior of state lab chemist Annie Dookhan, but now the ACLU is calling for judges and prosecutors to dismiss thousands more in a second case of lab tech misbehavior. Amherst state lab chemist Sonja Farak pleaded guilty in 2014 to stealing cocaine from the lab and admitted she was high nearly every day from 2004 to 2013 on cocaine, meth, and other stimulant drugs she pilfered from her job. The ACLU charges that prosecutors have sought to minimize Farak's misbehavior in a bid to preserve drug cases and convictions and failed to notify defendants that the evidence in their cases had been tainted. "Far worse than the Hinton scandal, the Amherst scandal combines a lab crisis with prosecutorial misconduct of unparalleled scope and irremediable consequence," the ACLU argued. "This latest systemic lapse in the justice system demands a most emphatic response." And that response would be mass dismissals. Iceland Marijuana Legalization Bill Filed. Members of the Reform Party and the Pirate Party have banded together to file a bill that would legalize marijuana in the North Atlantic island nation. The bill would allow anyone 20 and over to possess and cultivate pot for personal use -- with a government permit. The bill would also allow retail sales and consumption lounges, but not at the same business. Australia to See First Music Festival With On-Site Pill Testing. The Spilt Milk Festival in Canberra will provide on-site pill testing for attendees in a harm reduction move aimed at reducing overdoses and other bad drug interactions. The Australian Capital Territory government has given the okay for the project, which will be operated by the Safety Testing Advisory Service at Festivals and Events. 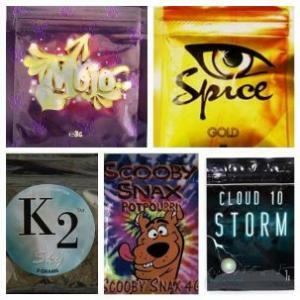 That consortium consists of Harm Reduction Australia, the Australian Drug Observatory, the Noffs Foundation, DanceWize, and Students for Sensible Drug Policy. The Drug Enforcement Administration (DEA) has never been known as a forward-thinking place when it comes to drug and crime policy, but these days, the hide-bound drug fighting agency is coming off as much more reasonable on drugs than its bosses, President Trump and Attorney General Sessions. And as is the case with everyone from Republican elected officials to top corporate executives, the Trump administration's bad case of crazy is forcing even the DEA to distance itself from some of Trump's more ill-thought and insidious mouthings. 1. The DEA has been accepting applications from scientists to grow marijuana for research purposes, only to be blocked by the Sessions Justice Department. For years, researchers have complained that a government monopoly on marijuana grown for research purposes has both stifled useful research and illustrated the DEA's role in hindering science. Late in the Obama administration, though, the agency relented, saying it would take proposals from researchers to grow their own crops. But The Washington Post reported last week that DEA had received 25 research proposals since it began accepting applications a year ago, but needed DOJ's approval to move forward. That approval has not been forthcoming, much like DOJ when queried about it by the Post. DOJ may not have had anything to say, but some insiders did. "They're sitting on it. They just will not act on these things," said one unnamed source described by the Post as a "law enforcement official familiar with the matter." Another source described as a "senior DEA official" said that as a result, "the Justice Department has effectively shut down this program to increase research registrations." 2. The DEA head feels compelled to repudiate Trump's remarks about roughing up suspects. The Wall Street Journal obtained an email from acting DEA Administrator Chuck Rosenberg to staff members written after President Trump told police officers in Long Island month that they needn't be too gentle with suspects. Rosenberg rejected the president's remarks. Saying he was writing "because we have an obligation to speak out when something is wrong," Rosenberg said bluntly that Trump had "condoned police misconduct." 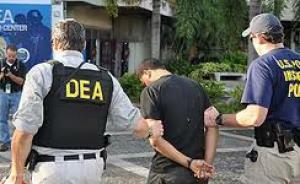 Instead of heeding the president, Rosenberg said, DEA agents must "always act honorably" by maintaining "the very highest standards" in the treatment of suspects. It is a strange state of affairs when an agency many people consider to be the very embodiment of heavy-handed policing has to tell its employees to ignore the president of the United States because he's being too thuggish. 3. The DEA has to fend off the Trump/Sessions obsession with MS-13. Trump loves to fulminate against MS-13, the vicious gang whose roots lie in the Salvadoran diaspora during the US-backed civil war of the 1980s, and to use them to conflate the issues of immigration, crime, and drugs. His loyal attorney general has declared war on them. Both insist that breaking MS-13 will be a victory in the war on drugs and are pressuring the DEA to specifically target them. But, the Post reported, Rosenberg and other DEA officials have told DOJ that the gang "is not one of the biggest players when it comes to distributing and selling narcotics." In the DEA view, Mexican cartels are the big problem and MS-13 is simply one of many gangs the cartels use to peddle their wares. DEA administrators have told their underlings to focus on whatever is the biggest threat in their area -- not MS-13 -- because "in many parts of the country, MS-13 simply does not pose a major criminal or drug-dealing threat compared with other groups," according to unnamed DEA officials. "The officials spoke on the condition of anonymity because they could face professional consequences for candidly describing the internal disputes," the Post noted. The president and the attorney general are seeking to distort what the DEA sees as its key drug enforcement priorities so Trump can score some cheap demagogic political points, and the DEA is unhappy enough to leak to the press. We are indeed in a strange place. All New England states have now either decriminalized or legalized marijuana, the Drug Policy Alliance names a new head, Uruguay begins legal pot sales at pharmacies, and more. Massachusetts Legalization Implementation Bill Could Go to Governor This Week. Legislative leaders defended their compromise pot bill, House Bill 3818, Wednesday, and votes on the bill could come at any time. The measure is expected to pass the legislature and then head to the desk of Gov. Charlie Baker (R), who is expected to sign it. The bill increases taxes from 12% to up to 20%, and would allow authorities in localities that didn't vote in favor of the legalization initiative to ban pot businesses without a popular vote. New Hampshire Governor Signs Decriminalization Bill. Gov. Chris Sununu (R) has signed into law House Bill 640, which eliminates criminal penalties for the possession of up to three-quarters of an ounce of marijuana. Instead of jail time, violators will face a $100 fine for a first offense, $200 for a second, and $350 for a third offense within three years of the original offense. With the state now adopting decriminalization, all of New England has now either legalized or decriminalized marijuana possession. Drug Policy Alliance Names New Executive Director. The Drug Policy Alliance (DPA), the nation's most powerful drug reform organization, has selected a replacement for founder and long-time executive director Ethan Nadelmann, who stepped down earlier this year.The DPA board of directors announced Tuesday it had voted unanimously to appoint Maria McFarland Sánchez-Moreno as Nadelmann's successor. McFarland Sánchez-Moreno is moving over from Human Rights Watch, where for the past 13 years she served as Co-Director of the US Program, where she picked up plenty of domestic and international drug policy experience. She also pushed for the group to more directly take on the war on drugs as a human rights issue, and as a result, Human Rights Watch became the first major international human rights organization to call for drug decriminalization and global drug reform. Uruguay Legal Marijuana Sales in Pharmacies Get Underway. Pharmacists in Uruguay began selling marijuana to customers Wednesday, the last step in a pioneering national legalization process that began more than three years ago. 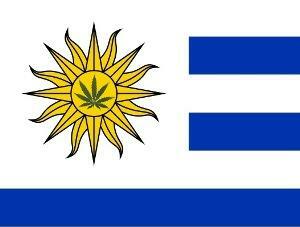 Uruguay is the first country in the world to completely legalize marijuana for recreational use. Canada is set to be next. As President Trump ratchets up the machinery of mass deportation, supporters of a humane, comprehensive approach to immigration are seeking ways to throw sand in its gears. When mass deportation is touted because of the "criminality" of those targeted, one solution is to reduce criminalization, which is not to turn a blind eye to violent or dangerous criminals, but to recognize that we live in an over-criminalized society. That means school kids can now be arrested for behavior that would have sent them to the principal's office in years past (especially if they're a certain color). The US also generates the world's largest prison-industrial complex, and has criminalized tens of millions of people for the offense of simply possessing a certain plant, and millions more for possessing other proscribed substances. While Trump talks about "bad hombres" as he ramps up the immigration crackdown, data shows that the net of criminality used to deport not just undocumented workers, but also legal immigrants and permanent resident aliens, is cast exceedingly wide. It's overwhelmingly not gang members or drug lords who are getting deported, but people whose crimes include crossing the border without papers, as well as traffic and minor drug offenses. 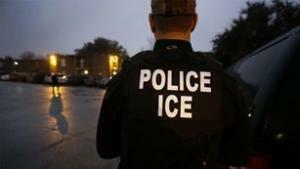 The report Secure Communities and ICE Deportations: A Failed Program , which examined Immigration and Customs Enforcement deportation records, found that the top three "most serious" criminal charges used to deport people and which accounted for roughly half of all deportations were illegal entry, followed by DWI and unspecified traffic violations. The fourth "most serious" criminal charge used to deport people was simple marijuana possession, with more than 6,000 people being thrown out of the country in fiscal years 2012 and 2013, the years the study covered. Right behind that was simple cocaine possession, accounting for another 6,000 in each of those years. "Other" drug possession charges accounted for nearly 2,500 deportations each of those years. Nearly 3,000 people a year were deported for selling pot, and more than 4,000 for selling cocaine, but only about 2,000 a year for the more serious offense of drug trafficking, accounting for a mere 1% of all deportations in those years. This has been going on for years. In the same report, researchers estimated that some 250,000 people had been deported for drug offenses during the Obama administration, accounting for one-fifth of all criminal deportations. Now, the Trump administration gives every indication it intends to be even tougher. In light of the massive use of drug charges to deport non-citizens, drug reform takes on a whole new aspect. Marijuana decriminalization and legalization may not generally be viewed through the lens of immigrant protection, but they shield millions of people from drug deportation in those states that have enacted such laws. Similarly, efforts to decriminalize drug possession in general are also moves that would protect immigrants. Now, legislators and activists in vanguard states are adopting prophylactic measures, such as sealing marijuana arrest records, rejiggering the way drug possession cases are handled, and, more fundamentally, moving to decriminalize pot and/or drug possession. In doing so, they are building alliances with other communities, especially those of color, that have been hard hit by the mass criminalization of the war on drugs. In California, first decriminalization in 2011 and then outright legalization last year removed pot possession from the realm of the criminal, offering protection to hundreds of thousands of immigrants. But the California legalization initiative, Proposition 64, also made the reduction or elimination of marijuana-related criminal penalties retroactive,meaning past convictions for marijuana offenses reduced or eliminated can be reclassified on a criminal record for free. Having old marijuana offenses reduced to infractions or dismissed outright can remove that criminal cause for removal from any California immigrant's record. Across the county in New York, with a charge led by the state legislature's Black, Puerto Rican, Hispanic and Asian Caucus, the state assembly voted in January to approve AB 2142, which would seal the criminal records of people who had been unjustly arrested for simple possession of marijuana in public view, a charge police used to still bust people for marijuana after it was decriminalized in 1977. Like the Prop 64 provision in California, this measure would protect not only minority community members in general -- who make up 80% of those arrested on the public possession charge -- from the collateral consequences of a drug conviction, but immigrants in particular from being expelled from their homes. "A marijuana conviction can lead to devastating consequences for immigrants, including detention and deportation," said Alisa Wellek, executive director of the Immigrant Defense Project. "This bill will provide some important protections for green card holders and undocumented New Yorkers targeted by Trump's aggressive deportation agenda." "Sealing past illegitimate marijuana convictions is not only right, it is most urgent as the country moves toward legalization and immigrant families are put at risk under our new federal administration," said Kassandra Frederique, New York state director for the Drug Policy Alliance. "Comprehensive drug law reform must include legislative and programmatic measures that account for our wrongheaded policies and invest in building healthier and safer communities, from the Bronx to Buffalo, Muslim and Christian, US-born and green card-holding." Companion legislation in the form of Senate Bill 3809 awaits action in the Senate, but activists are also pushing Gov. Andrew Cuomo to include similar language as part of his decriminalization proposal in state budget legislation, opening another possible path forward. "In New York State 22,000 people were arrested for marijuana possession in 2016. The misdemeanor charge for public view of marijuana possession gives those people convicted a criminal record that will follow them throughout their lives, potentially limiting their access to education, affecting their ability to obtain employment, leading to a potential inability to provide for their families," said Sen. Jamaal Bailey, author of the Senate bill. "Furthermore, and even more problematic, there exist significant racial disparities in the manner that marijuana possession policy is enforced. Blacks and Latinos are arrested at higher rates despite the fact that white people use marijuana at higher rates than people of color. Responsible and fair policy is what we need here," Bailey added. "We must act now, with proactive legislation, for the future of many young men and women of our state are at stake here." Meanwhile, back in California, Assemblywoman Susan Talamantes Eggman (D-Stockton) has reintroduced legislation explicitly designed to shield immigrants from deportation for drug possession charges, as long as they undergo treatment or counseling. Under her bill, Assembly Bill 208, people arrested for simple possession would be able to enroll in a drug treatment for six months to a year before formally entering a guilty plea, and if they successfully completed treatment, the courts would wipe the charges from their records. The bill would address a discrepancy between state law and federal immigration law. Under state drug diversion programs, defendants are required to first plead guilty before opting for treatment. But although successful completion of treatment sees the charges dropped under state law, the charges still stand under federal law, triggering deportation proceedings even if the person has completed treatment and had charges dismissed. "For those who want to get treatment and get their life right, we should see that with open arms, not see it as a way of deporting somebody," Eggman said. Eggman authored a similar bill in 2015 that got all the way through the legislature only to be vetoed by Gov. Jerry Brown, who worried that it eliminated "the most powerful incentive to stay in treatment -- the knowledge that the judgment will be entered for failure to do so." In the Trump era, the need for such measures has become even more critical, Eggman said. "It might be a more complex discussion this year, and it's a discussion we should have," she said. "If our laws are meant to treat everyone the same, then why wouldn't we want that opportunity for treatment available to anyone without risk for deportation?" Reforming drug laws to reduce criminalization benefits all of us, but in the time of Trump, reforming drug laws is also a means of protecting some of our most vulnerable residents from the knock in the night and expulsion from the country they call home. In his inaugural address to Congress Tuesday night, President Trump echoed the ghosts of Richard Nixon and Ronald Reagan -- not to mention summoning the specter of Miguel Cervantes -- as he vowed to defeat drugs. If there is a silver lining, his ire appears directed at heroin and other hard drugs. The word "marijuana" did not appear once in his speech. And, having forgotten -- or more likely, never learned -- the lessons of the past half century of American drug prohibition, he's going to defeat drugs the old-fashioned way: with more war on drugs. "To protect our citizens, I have directed the Department of Justice to form a Task Force on Reducing Violent Crime," Trump said. "I have further ordered the Departments of Homeland Security and Justice, along with the Department of State and the Director of National Intelligence, to coordinate an aggressive strategy to dismantle the criminal cartels that have spread across our Nation." But talk is cheap. Drug law enforcement costs money. The DEA and other federal agencies are already waging a multi-billion dollar a year war on drugs; if Trump's budget proposals match his rhetoric, he will have to be prepared to spend billions more. Just when he wants to cut just about all federal spending but defense, too. Trump can ratchet up the drug war in some ways without relying on congressional appropriations through his control of the executive branch. For instance, his Justice Department could direct federal prosecutors to seek mandatory minimum prison sentences in most or all drug cases, a practice eschewed by the Obama Justice Department. That, too, has budgetary consequences, but until some time down the road. Trump did at least pay lip service to addressing drug use as a public health issue, saying he would "expand treatment for those who have become so badly addicted," but that doesn't gibe with his call to repeal the Affordable Care Act. If Obamacare is repealed, nearly three million Americans with addiction disorders with lose access to some or all of their health coverage, including nearly a quarter million receiving opioid addiction treatment. Trump's Tuesday night crime and drug talk was interwoven with talk about the border, comingling immigration, drugs, and his border wall in a hot mess of overheated, but politically useful, rhetoric. 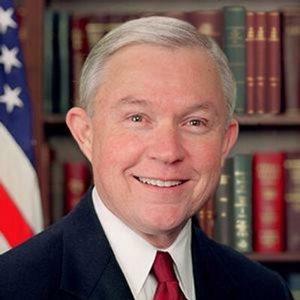 "We've defended the borders of other nations, while leaving our own borders wide open, for anyone to cross -- and for drugs to pour in at a now unprecedented rate," he said, ignoring the quadrupling in size of the Border Patrol in the past 20 years and the billions pumped into border security since 2001. "We will stop the drugs from pouring into our country and poisoning our youth." Trump also said that he was already making America safer with his immigration enforcement actions. "As we speak, we are removing gang members, drug dealers and criminals that threaten our communities and prey on our citizens. Bad ones are going out as I speak tonight and as I have promised," he said. 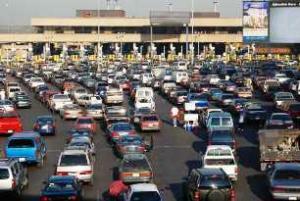 It's too early to see who is actually being deported in the opening days of the Trump administration, but if the past is any indicator, it's not "gang members, drug dealers, and criminals," but, in rank order, people whose most serious crime was crossing the border without papers, alcohol-impaired drivers, other traffic violators, and pot smokers. Those were the four leading charges for criminal immigration deportations in one recent year, according to Secure Communities and ICE Deportations: A Failed Program? Trump's drug war rhetoric is triumphalist and militaristic, but so far it's largely just talk. The proof will be in budget proposals and Justice Department memoranda, but in terms of progressive drug policy, he's striking a very ominous tone. This does not bode well. A Democratic Massaschusetts state senator is out to seriously undercut the state's new, voter-approved marijuana legalization law, an Oregon bill seeks to protect marijuana users' employment rights, El Chapo gets extradited to the US, and more. DC Activists Hand Out 8,000 Joints for Trump Inauguration. The same folks who brought you legal marijuana in the District were on hand Friday for the inauguration of the incoming president. DCMJ activists handed out nearly double the promised 4,200 joints they promised. A good time was had by all. "Oh yeah, there's 10,000 people who showed up for free marijuana today, so it's really busy," DCMJ founder Adam Eidinger said. 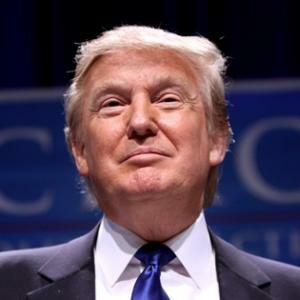 "The goal is really to get Donald Trump talking about marijuana, to show the tremendous support. To show that you can have Trump supporters and non-Trump supporters together in unity." Arizona Decriminalization, Legalization Bills Filed. State Rep. Mark Cardenas (D-Phoenix) filed a bill to decriminalize pot possession (House Bill 2002) and one to legalize marijuana (House Bill 2003). Previous similar bills have never won even a committee hearing, but the state's felony marijuana possession law may finally be out of step with the times enough to give the decrim bill a hearing. Hawaii Marijuana Legalization Bill Filed.Speaker of the House Joseph Souki (D-District 8) has filed House Bill 205, which "authorizes persons 21 years of age or older to consume or possess limited amounts of marijuana for personal use. Provides for the licensing of marijuana cultivation facilities, product manufacturing facilities, safety testing facilities, and retail stores" and "applies an excise tax on transactions between marijuana establishments." Maryland Appeals Court Upholds Search Based on Pot Smell, Despite Decriminalization. Even though the possession of small amounts of pot has been decriminalized in the state, the state's highest court has ruled that it remains a banned substance and thus give police probable cause to search a vehicle if they smell it. "Simply put, decriminalization is not synonymous with legalization, and possession of marijuana remains unlawful," Court of Appeals Judge Shirley M. Watts wrote in a unanimous opinion issued Friday. Defendants had argued that police should be required to cite factors leading them to believe the amount they smelled was greater than the 10 grams decriminalized under state law. But the court didn't buy that argument. Massaschusetts Bills Would Gut Legalization Law. Hardline marijuana foe state Sen. Jason Lewis (D-Winchester) has filed legislation that would deeply curb the ability of state residents to possess and grow marijuana and threaten the ability of recreational pot shops to begin selling a full range of products next year. Lewis would delay the ability of pot shops, now set to open in July 2018, to sell edibles and concentrates for at least two more years, and he would dramatically increase the ability of local governments to reject marijuana businesses. Under the legalization law, they must go to the voters, but Lewis's legislation would undo that. Groups that led the successful November legalization initiative are vowing a vigorous fightback. His package of 14 bills was filed last Friday, the last day to do so. 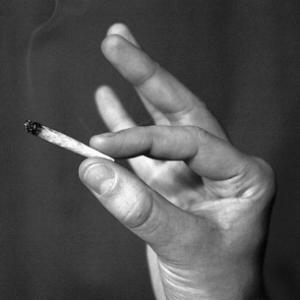 Oregon Bill to Prevent Pot Smokers From Getting Fired Filed. State Rep. Ann Lininger (D-Lake Oswego) has filed Senate Bill 301, which would override a state Supreme Court decision saying employers can fire marijuana users even though it is legal in the state. The bill would bar employers from requiring workers or prospective workers to "refrain from using a substance that is lawful to use under the laws of this state during nonworking hours." Virginia Legislators Punt on Decriminalization Bills. A state Senate committee Monday refused to approve a pair of decriminalization bills, instead opting to delay them while the Virginia State Crime Commission studies decriminalization. The bills were Senate Bill 1269 from Sen. Adam Ebbin (D-Alexandria) and Senate Bill 908 from Sen. Louise Lucas (D-Portsmouth). Illinois Bill Would End Civil Asset Forfeiture. State Rep. Al Riley (D-Hazel Crest) has filed House Bill 468, which would prohibit the state from seizing property without a criminal conviction. The measure would also block prosecutors from doing an end run around state law by passing cases off to the feds, who then return 80% of the money to the law enforcement agency involved. The bill has been referred to the House Rules Committee. California Bill Would Protect Immigrants from Deportation in Low-Level Drug Cases. Assemblywoman Susan Talamantes Eggman (D-Stockton) Monday filed a bill to shield immigrants from deportation for minor drug offenses -- as long as they seek drug treatment or counseling. The bill would adjust state law so that defendants without prior convictions within the last five years could enroll in drug treatment before entering a guilty plea and have those charges wiped from their record upon successful completion. That would prevent them from being considered drug offenders eligible for deportation under federal law. Gov. Jerry Brown (D) vetoed a similar bill last year. The bill is not yet available on the legislative website. 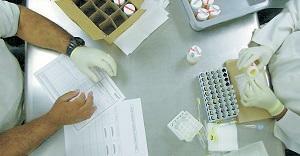 Missouri College Appeals to US Supreme Court Over Student Drug Testing. Linn State Technical College has appealed to the Supreme Court to overturn federal appeals court rulings that its program requiring mandatory drug testing of all incoming students is unconstitutional. The college has lost at just about every turn in this case, with a federal district court judge issuing an injunction to block implementation of the program, and the 8th US Circuit Court of Appeals rejecting mass, suspicionless drug testing. The appeals court did allow the college to impose testing on students in five safety-sensitive programs. El Chapo Extradited to the US. Longtime Sinaloa Cartel leader and repeat Mexican prison escapee Joaquin "El Chapo" Guzman was extradited to the US last Thursday to face drug and other charges in New York City. "The government of the republic today delivered Mr. Guzmán to the authorities of the United States of America," the Mexican foreign ministry said in a statement. German MPs Vote to Approve Medical Marijuana. 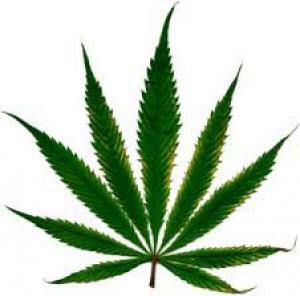 The lower house of parliament last Thursday approved a measure legalizing the medicinal use of marijuana. The law limits the use of medical marijuana to "very limited exceptional cases" and patients will not be allowed to grow their own. Instead medical marijuana will be imported until state-supervised grow operations are set up in Germany.